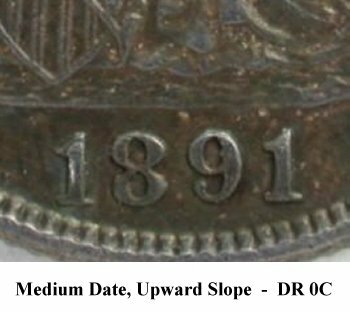 Comments: The date punch on Obverse 10 slopes upward. 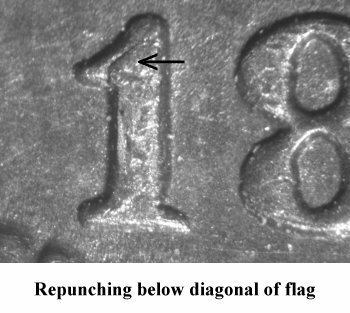 The first 1 digit is repunched below the diagonal of the flag. 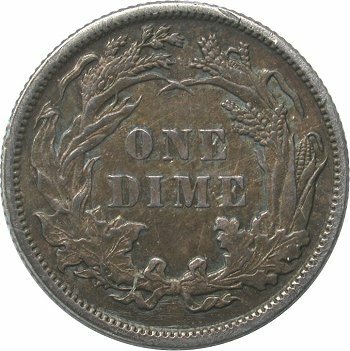 This repunching can only be seen on AU or better examples. 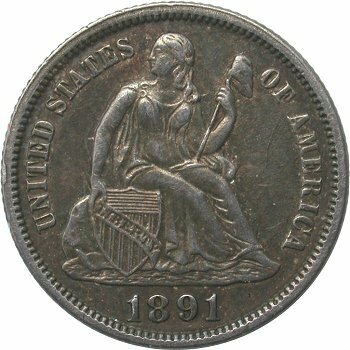 Both the obverse and reverse dies are clashed.